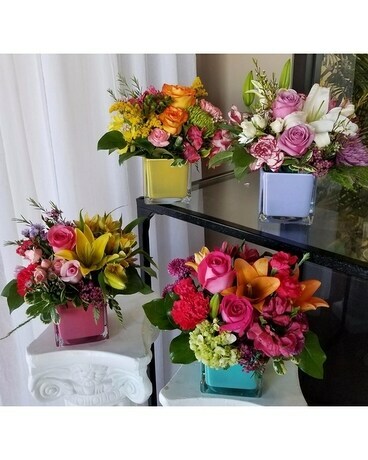 This is the perfect arrangement to brighten up anyone's day! Choose from 1 of the 4 color variety and write on the special instructions which color scheme you prefer. From yellow, lavender, pink and turquoise any of these can make the perfect colorful statement!